Margaret Drinnon Feagans Brown, 97, passed away in a local hospital on Monday, April 1, 2019. 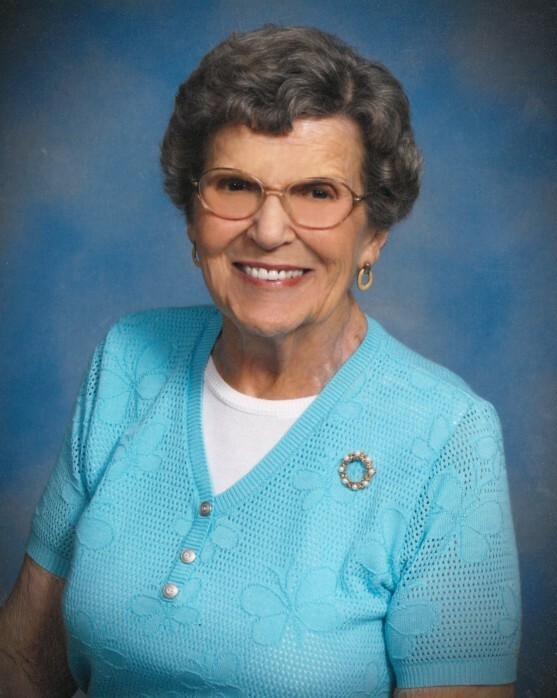 She was a resident of Hickory Valley Retirement Community and an active member of Newnan Springs United Methodist Church for 71 years. Margaret (aka "Mimi" to all the family members), served many church roles during those years. She was a member of the JOY Class, sang in the Choir, and was a Sunday School teacher for many years. Margaret was Chairperson of the Church's Administrative Council, served as President of the Dalton District of the Methodist Church and was very active in the North Georgia Methodist Conference for many years. In her later years, Marge worked at the Chattanooga Community Kitchen and the Rossville Community Ministries as a volunteer. In addition, she and her husband, Ernie Feagans, a long-time radio personality with WDEF in Chattanooga, produced and hosted the wildly popular "Feagans Follies" radio program, which entertained generations of Chattanoogans with music from the swinging 40's and 50's . Marge had a truly extraordinary life. She lived a full and happy life, walked as a true Christian each and every day, left her "earthly digs" with no "unfinished business,” and surely received a "well done my good and faithful servant" from her Lord Jesus Christ. Have a swift journey to your new heavenly home, our dearly loved Mimi. We will miss you greatly but know you are at peace and truly happy. She is proceeded in death by her parents, Oscar and Manola Drinnon; her first husband of 55 years, Ernie Feagans, and her second husband of 5 years, Charles Brown; brothers, Robert Drinnon, William Drinnon, and James Drinnon; sisters, Evelyn Massey and Catherine Smith; grandson, Stephen Rice and great-grandson, Dustin Lowrance. She is survived by her two daughters, Sandra (Frank) Rice and Nancy (Jim) Harlow; step-son, John (Carol) Brown; four grandchildren, Jan Lowrance, Julie (Aaron) Fulbright, Kimberly Lowe and Andy (Annie) Harlow; several great-grandchildren; two sisters, Betty Case and Barbara Cornwell and several nieces and nephews. Funeral services will be held at 11 AM Saturday, April 6, at Newnan Springs United Methodist Church, 78 Monanaw Avenue, Rossville, GA 30741. Interment will follow in Lakewood Memory Gardens, South. In lieu of flowers, the family requests that memorial contributions can be made to at Newnan Springs United Methodist Church. The family will receive friends from 5-7 PM Friday, April 5, at the funeral home and from 10-11 AM Saturday, April 6, at Newnan Springs United Methodist Church. Arrangements are by Heritage Funeral Home, 7454 East Brainerd Road.